The 46-year-old leader of the rock band "30 Seconds To Mars" has never been married. Nevertheless, he has had a lot of high-profile affairs with bright representatives of cinema and show business. For example, earlier in the list of Jared Leto's chosen ones were Scarlett Johansson, Cameron Diaz, Isabel Lucas and Valery Kaufman. However, the famous brunette in search of a new love. Today, the star of the movie "Suicide Squad" was seen on one of the main streets of New York, not alone, but in the company of a pretty blonde. 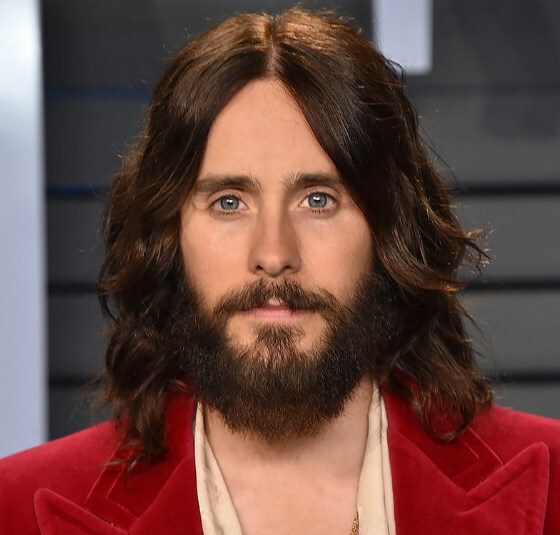 By the way, while the identity of the Hollywood actor’s companion could not be established, but eyewitnesses have said that the owner of blond curls is noticeably younger than Leto himself. However, the singer of the hit “From Yesterday” did not miss the opportunity to boast an original outfit. 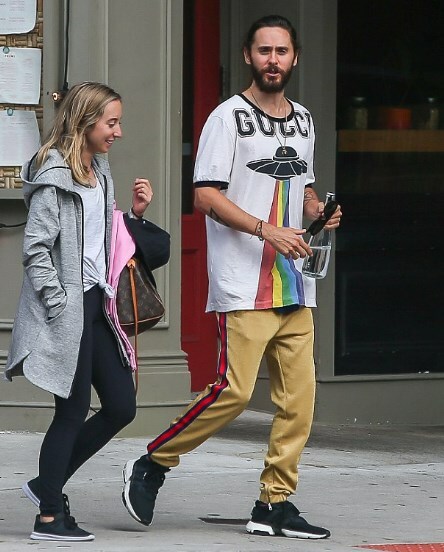 Jared posed in an original T-shirt with a bright print of the legendary fashion house “Gucci”, beige trousers decorated with red and black stripes, and sports sneakers. According to media, the rock musician’s companion preferred a less extravagant image. Therefore, the blonde wore a cardigan with a sulfur tone, black fitting trousers, a white t-shirt and leather sneakers. It is worth noting that earlier Cameron Diaz revealed several secrets of her love affair with a rock artist. According to the leggy blonde, Jared Leto, being a bright vegetarian and environmentalist, forbade her to eat meat, to meet with friends, and also refused intimacy. In addition, the Hollywood actor has forced a colleague to buy an electric car, so that the legendary American does not pollute the environment. It is not yet known what relationship Leto has with the new companion, but fans hope that the musician will soon be able to find the only chosen one.